There is something intrinsically comforting about the impeccably designed, immensely tactile brick. Thousands of years of experience have made them hand-sized, enabling a builder to grasp one in one hand and still have another hand free to apply the trowel of cement. The metallic scrape of the trowel on the brick’s surface, then the chink of one brick being placed on top of another is an urban symphony. In the hand they offer a satisfying, not too heavy weight, a scratchy roughness and a warm smell of burnt-pink dustiness. They are one of man’s ultimate creations, so much so that today they look and feel like an extension of nature. Walking forward in time along the Rue de la Tour des Dames towards the Trinité church, my heart leaps as I see two brick buildings. At Number 11, a 19th century house, and sitting opposite at Number 16, pure 20th century industrial. The house is a different creature to the ladies at the top of the street, but this is not to say that the building is free from adornment. The Flemish-style gables and cream trimmings set against the carnelian brick red make this a most handsome structure. Across the street, a gutted electricity building caught on the cusp of art-deco and modernist. Constructed in several materials, it uses brick as decoration, perhaps to present a kind of working-class solidarity, or perhaps just to mirror the house opposite. These were buildings designed for a purpose; one to provide electricity, and one as a machine for living in. Like their sisters at the top of the street, neither of these buildings functions today according to the original intended purpose. 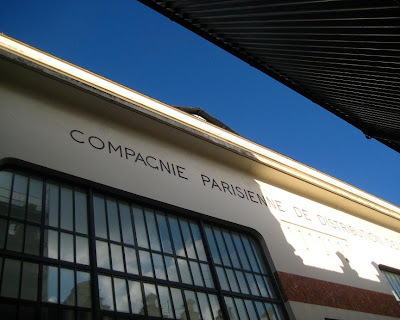 Number 16 was recently ceded by the EDF electricity company to the city of Paris, and is currently home to an information centre on renewable energy forms, but is earmarked for further development, possibly into a sports centre. Number 11, with its more classical forms, has become offices. As these buildings prove, brick is eminently adaptable, but they are also pointers to the troubled history the material has had in France and Paris. 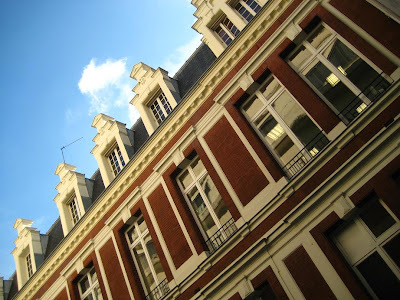 Originally brought into the country by the Romans, brick was largely forgotten again until the 14th century, but then rose again to ultimately reach a pinnacle in the 17th century, most notably at the Place des Vosges. Since this period, brick has made sporadic appearances, but has largely been supplanted by the abundant natural stone to be found in the country. Paris itself is built on top of cavernous stone quarries which have provided much of the sandy white stone seen on the buildings in the city today. In the 19th century brick was still frequently used as a building material, but almost always covered over with a plaster cladding. This house in the Rue de la Tour des Dames is therefore a true rarity, proudly baring its red skeleton to the world. The early decades of the 20th century saw brick make a grand comeback in the city, but almost entirely on municipal buildings, particularly the swathes of social HBM housing around the edges of the city. In these more recent times though, brick has suffered on two fronts. Whilst it has largely been snubbed as a material by the rich since the 17th century, it also became deeply unfashionable in modernist circles. In the United Kingdom where brick has always reigned supreme, it became a class issue; being a material for the masses it was too lowly for the wealthy. It even became a 20th Century insult, with the term ‘Red-brick Universities’ given to the more modern schools, belittling them in comparison to the classical stone of Oxford and Cambridge. Post-war, the modernists also rejected brick, believing it to be old-fashioned, and a symbol of traditional and pre-industrial technology. The modernists advocated the revolutionary new materials of glass, steel, and concrete, and when brick walls could not be avoided, they were rendered neutral with a coat of plaster or concrete cladding. Today it is often considered an impractical material, certainly for the larger scale structures that are likely to appear in a city. It became easier to build higher and more quickly with the more modern materials, so much so that it lead the architect Louis Kahn to ask the famous question “what do you want brick?”. Kahn believed that brick would answer “I Like an arch”, meaning that it is flexible, wants to be seen, and can be decorative. Its simplicity, reasonable cost and solidity make it still practical, but perhaps it is through its aesthetic that it still makes its best case. Looking at these buildings in front of me, I can’t help but wonder if concrete and glass really are the answer to all today’s construction conundrums. If anybody can give me any more information about the building at Number 11 I’d be very interested! For examples of how flexible brick can be in construction, click here. 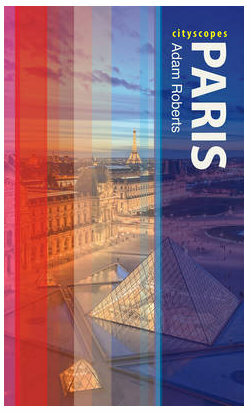 For more information on a very interesting book on the subject of brick in Paris, click here. 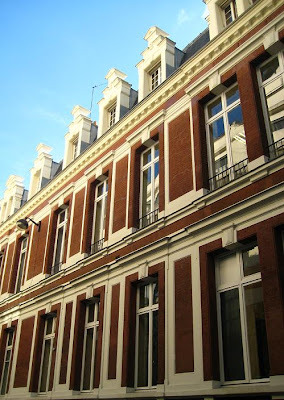 Sorry I couldn't find anything on the building at n°11, except that it was inhabited by Dr Jean-Martin Charcot ( 1825 - 1893 ) famous neurologist and specialist of hypnose and hysteria. Your information is very interesting though as I have been recently been reading a lot about Charcot and his work at the Salpetrière. I had no idea that he lived in this district! Had I known, it may have completely changed the angle of my post here! Looking at this page, I think it was probably Charcot's son, Jean-Baptiste who lived at this address. Charcot's father did have his business in the 9th arrondissement though, so perhaps the family had roots here. My source ( J.Hillairet) confirms the father, Jean-Martin, moved in n°11 after his wedding. Apparently the son used the place as well.